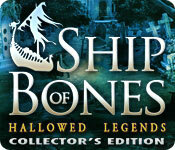 Hallowed Legends: Ship of Bones Collector's Edition is rated 4.2 out of 5 by 92. Rated 5 out of 5 by kcurry415 from Interesting, amusing, good difficulty but not impossible This was an interesting game. The number of sites (so far) is limited but the degree of movement among the few is easy, and finding the items needed is a challenge. There was nothing that I didn't like about the game. I will definitely buy it. Rated 5 out of 5 by GRHA from What a find Absolutely loved this game. I couldn't stop playing. So much to do with different games. Needed to use the map a lot as so many scenes. Really worth the money. Rated 5 out of 5 by gamesrgreatfun from Fun and Long I finished the whole game plus the bonus chapter. I usually wait to write my review until I have played the whole game. It gives a better perspective, IMHO. I played on the Casual level, as usual. I play these games to relax and I never get to finish a game all in one sitting. It takes me days with oodles of interruptions. When I return to play the game again, sometimes after several hours, I can't remember what I was trying to do. The casual level lets me catch up quickly. The game was fun to play. That is the most important criteria to me about a game. I enjoyed it and was glad I played it. It had very good graphics. It was easy to see things I was supposed to look for. I liked the H.O.s I loved the mini-games. These were plentiful and unique. (My favorite part of these games.) There was a lot of returning to earlier scenes to continue tasks so I was very thankful for the interactive map that told me which scene had something to do and then let me teleport there. I was happy I bought the C.E. versus the S.E. based solely on the strategy guide. I needed it a few times on the mini-games to figure out how to play the game. The directions in the game itself were a little sketchy, in my opinion and I do not like to skip puzzles as they are my favorite part of the game. There were also a few times when I couldn't figure out what to do in the game itself based on the hints or map and I would have been stuck for quite awhile (maybe forever?) if I hadn't consulted the study guide. I am not a fan of most of the story-lines in these games so I skim through the story to play the game. There are very few games that I actually enjoy the story-line as I am not into supernatural, horror, fantasy, or science fiction which almost all of these games are. I do love a good mystery though and adventure stories! I am not going to subtract a star(s) based on the story-line because I don't feel that is fair to the developers, as apparently most people love these kinds of stories. To me, the game was fun, despite the story so that's all that matters. Rated 5 out of 5 by maineiac48 from Excellent Value CE The game was very well done and entertaining, but the Bonus Content is what makes this such an exceptional value. It contained a surprisingly wide array of challenges. 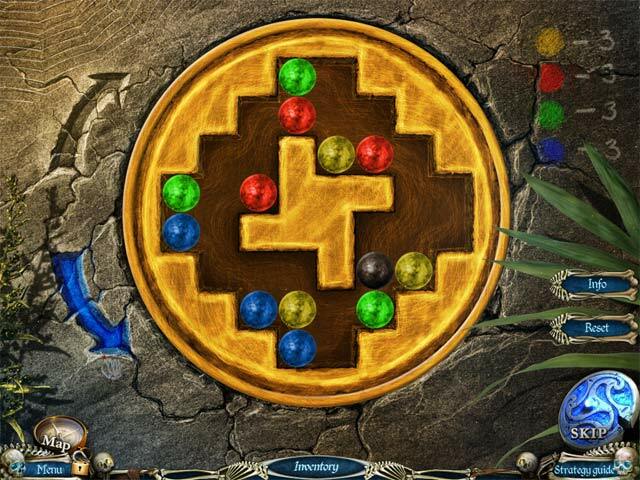 Through the regular game, the mini games were varied and challenging. The hidden object screens were not too frequent. The only improvement I could recommend would be to correct the few HO object names which were poorly translated into English. Rated 5 out of 5 by Mrs_Kim from Creepy game! 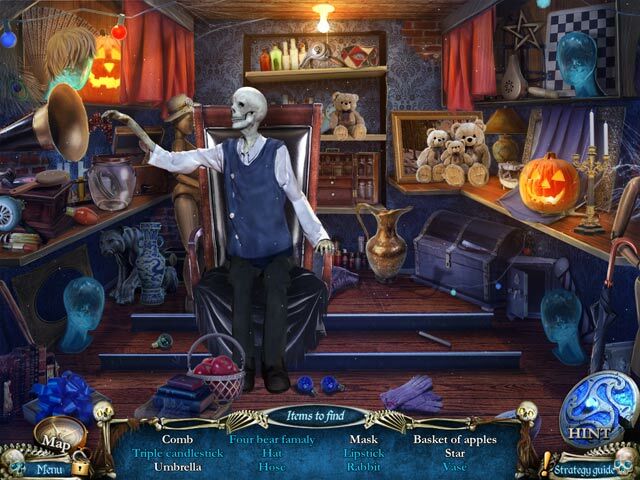 The third game in the series of Hallowed Legends by Elephant Games ----------------------------------------------------------------------------------------------- Finally, after such a long wait, the next game of Hallowed Legends is out! Different than Mystery Trackers, this game is more dark and spooky (the title says it all!) and you are with Hamlet, a wise raven. The mystery surrounds the city roamed by the dead is not strange enough, there's a woman in white stealing the souls of the people. I think she is creepy. The hint recharges pretty quickly, and the puzzles are quite easy. The HOG combines many interactive objects which is great but take time to solve. One thing lacking from this game is the Bonus Content, they are just the usual stuff. No collectables or anything like that. Luckily the bonus chapter is good. Rated 5 out of 5 by Tundei from Great game! Just finished, it was a long, complex game, with great graphics and puzzles. Bonus chapter was worthy. Rated 5 out of 5 by bel99 from Great fun A good long yarn of a game! My favorite game in quite a long time. I almost quit HO games because they were getting dreary. Ship of Bones had some new twists and great additions to the old style, which made it so much fun. Rated 5 out of 5 by TheFlashback from Enjoyable game This game is very cool nice and fun. The only part I did not like is its easiness. Everything is very trivial. Also, I found the gameplay a bit annoying in a sense that there is a lot of back and forth evolved. Completed everything under 3.5 hours in hard mode. A-- Thank you. Rated 5 out of 5 by mycatluna from Exceeds Expectations: Unique, Enjoyable, Worth the Money Elephant Games, one of my favorite developers, hit it out of the park again with their latest game, Hallowed Legends: Ship of Bones. I normally shy away from purchasing the CE's and wait for the SE; however, in this case I'm glad I purchased the CE for several reasons. First, I want to support this developer in every way possible. They make stellar games, NOT substituting 'quality' for 'quantity'. Second, there are well-hidden collectibles to find and achievements to earn. But what really increased my respect for this CE release is the length and detail of the bonus adventure. Far too often, bonus games feel rushed and unimaginative; adding nothing to the story and acting more as 'filler' than real bonus game-play. Not the case here. The attention to detail in the bonus game is as good as the attention and creativity given to the main game. The length is impressive as well, adding a good 2 hours to overall game-play. The story-line for the bonus game is not necessary to complete the main game (the ending wraps us nicely) but does provide an additional story which is every bit as unique and enjoyable. I won't go into detail about the music, atmosphere, etc., as many other reviewers have already covered those areas in great detail. I will say that I am extremely impressed with ALL elements of this game, from the ambient sounds to the game mechanics. The right amount of challenge is provided, based on your skill-set and preference as there are 3 modes of game-play. The SG is helpful should you need assistance from time to time. The map is a transporter, so the game is not overrun with a lot of back-tracking. 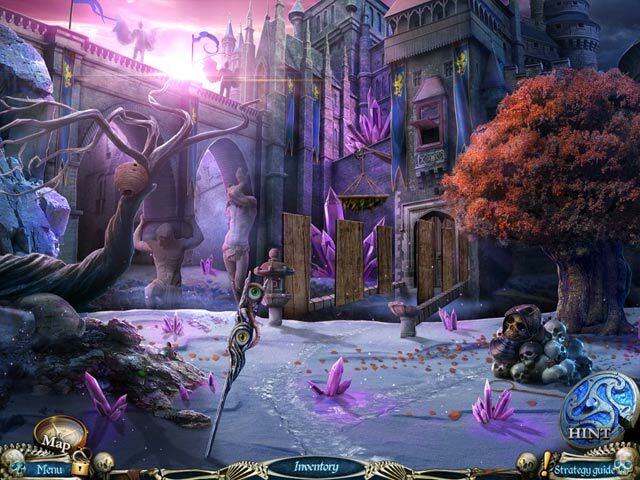 The puzzles and HOS are nicely spaced with no repeat hidden object scenes which keeps the game fresh and moving forward. Your 'assistant' and other characters you meet throughout the game are incredibly well-done and fun to interact with. The length of the main game is above par. As an expert player, the main game easily took me 6-8 hours to complete, plus the additional 2 hour bonus adventure (I did take my time, earned all the achievements, found the collectibles and did not use skips or hints which I'm sure added time). Yet despite the length, I never once felt bored. This has to do with the unique premise of the game itself. The story-line includes elements of real myths and legends, adding to the intrigue. It is obvious from the start that the developers at Elephant Games put a lot of time, effort, and care into creating a beautiful, lengthy and enjoyable game for a wide-ranging audience. The voice-overs are extremely well done and the cut-scenes, which provide the back-story, is split up through-out the game, giving you just enough information to keep you moving forward, tying everything up nicely by the game's conclusion. I am extremely impressed and look forward to future games from this developer. I have not once been disappointed, but this game is definitely the best so far. The use of the 'magic book' is very fun and added yet another unique element to an already imaginative game. Enjoy this beautiful and fantastic release. I'm sure it will become a favorite for many players. It is definitely a favorite of mine.